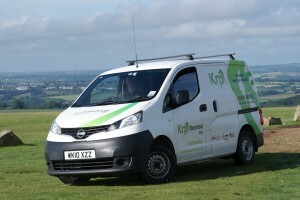 Krp Electrical was set up in 2008 by Keith Rees-Murray. Prior to this, he had worked as a sole trader as Krp Qualified Electrical Contractor, which was established in 2002. Krp Electrical offer a range of commercial electrical and domestic electrical services. Krp Electrical is registered with the NICEIC as an approved contractor. This means that annually the local engineer inspects work, both administrative and practical then issues a report . NICEIC stands for the National Inspection Council for Electrical Installation Contracting and has been in existence for over 50 years. In this changing world, the company endeavours to provide good advice on environmentally friendly and ecologically saving lighting and heating solutions for both home and business use. The company is a great advocate of low energy lamps including LED lighting. These have dramatically changed over the past five years, continually improving light output and overall running times. Krp Electrical Limited complies with the WEEE (Waste of Electrical and Electronic Equipment) directive.Disposal of waste products, such as fluorescent tubes, are dealt with in a way to minimise detrimental impact to our local environment.